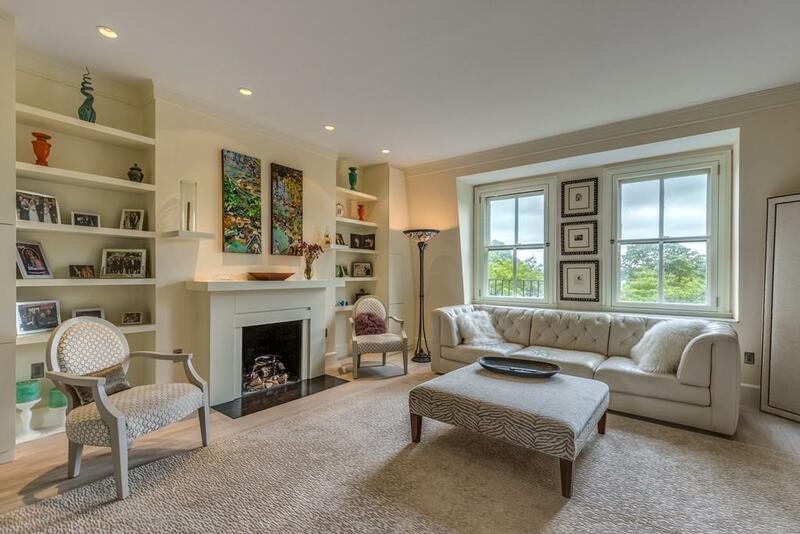 Remarkable Beacon Hill penthouse with direct elevator access on the "Flat of the Hill. 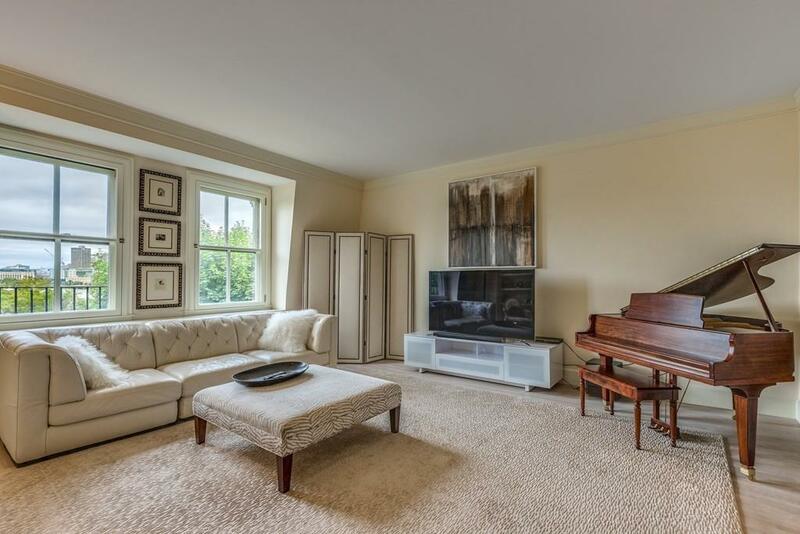 Sit and relax in the large sunny head house or step outside to enjoy spectacular city and Charles River views from the expansive private roof deck. 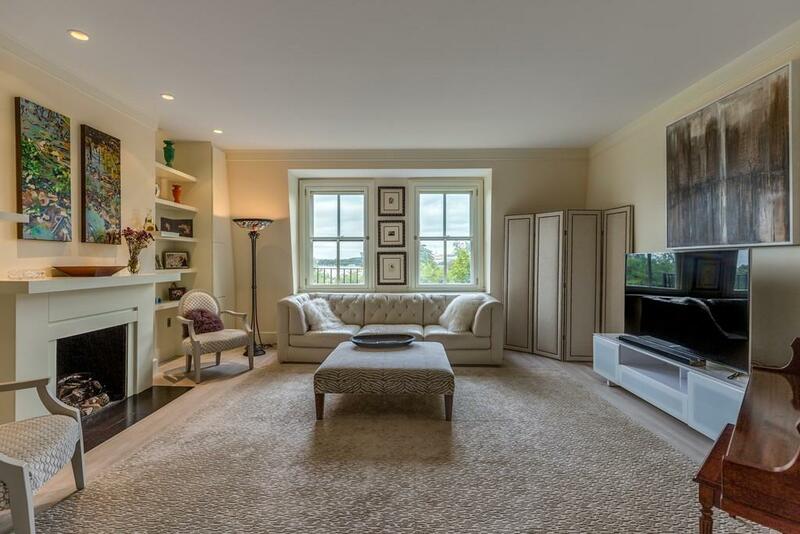 A fantastic home for entertaining with a bright and spacious fireplaced living room and a large dining area. The well-appointed kitchen has an abundance of counter space and a breakfast bar. 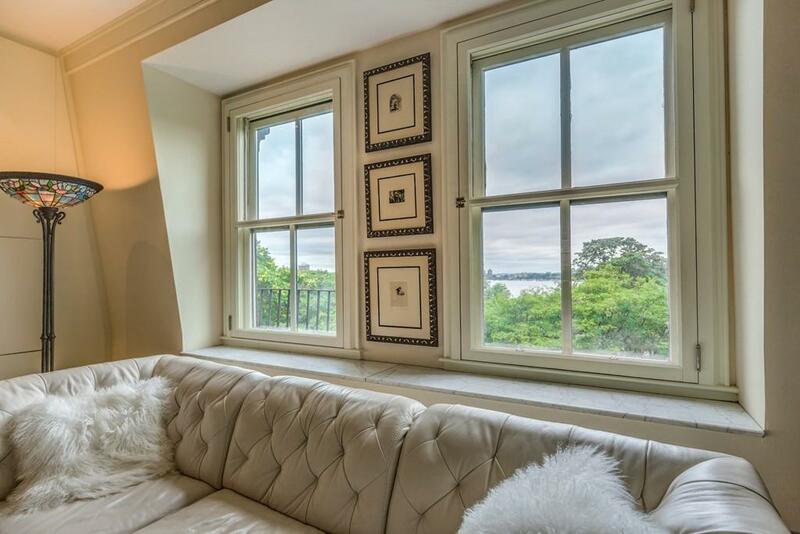 Upstairs the master bedroom offers unobstructed water views, a marble bath and a private balcony overlooking the river. The spacious second bedroom presents a city view and its own bathroom. Numerous closets and custom built-ins provide generous storage space throughout. This beautiful home has ideal indoor and outdoor space, a fantastic location and a floor plan that fits any lifestyle. Just steps away from the Esplanade, Charles Street's restaurants and shopping, Public Gardens and the red line. Listing courtesy of Arianna Brown of Gibson Sotheby's International Realty. Listing provided courtesy of Arianna Brown of Gibson Sotheby's International Realty.